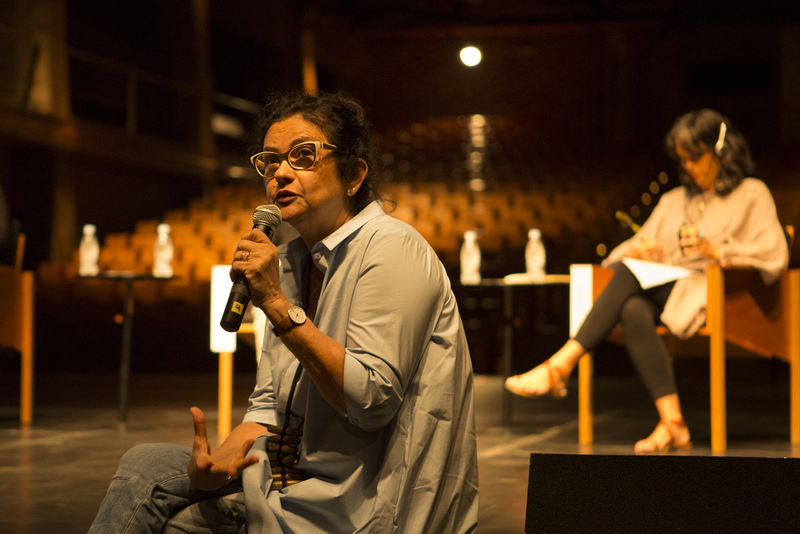 At the invitation of Videobrasil’s director, Solange Farkas, the core organizations of Tilting Axis — The Fresh Milk Art Platform Inc, ARC Magazine and the Pérez Art Museum Miami — had the opportunity to participate in the Public Programme at the 19th Sesc_Festival in Sao Paulo on October 8th, 2015. With an audience of about 30 members, the intimate gathering took place on the 8th of October at Sesc_Pompeia’s Theatre. Solange welcomed the panelists and remarked "It is a great pleasure to be part of this promising encounter Tilting Axis is providing. The Caribbean, despite its global relevance as a tourist destination, has yet to gain recognition as an inexhaustible source of visual art to its full potential and production. There is a clear difficulty in overcoming the ocean that surrounds this archipelago and Tilting Axis has a fundamental role in the unification of the region by hosting meetings and discussions and thereby increasing worldwide interest in the artistic production of the Caribbean." The conversation was chaired by N’Gone Fall, independent curator and founder of GawLab (Senegal) who framed the conversation and the larger platform as moments to think about factors tied to the invisibility and visibility of the Caribbean in the larger art world. The panel comprised Annalee Davis (Fresh Milk), Holly Bynoe (ARC Inc.) and María Elena Ortiz (PAMM). Annalee gave background to Fresh Milk's interest in Tilting Axis, spoke to why and how Tilting Axis developed and presented an overview of the inaugural 2015 meeting which took place at Fresh Milk in Barbados. 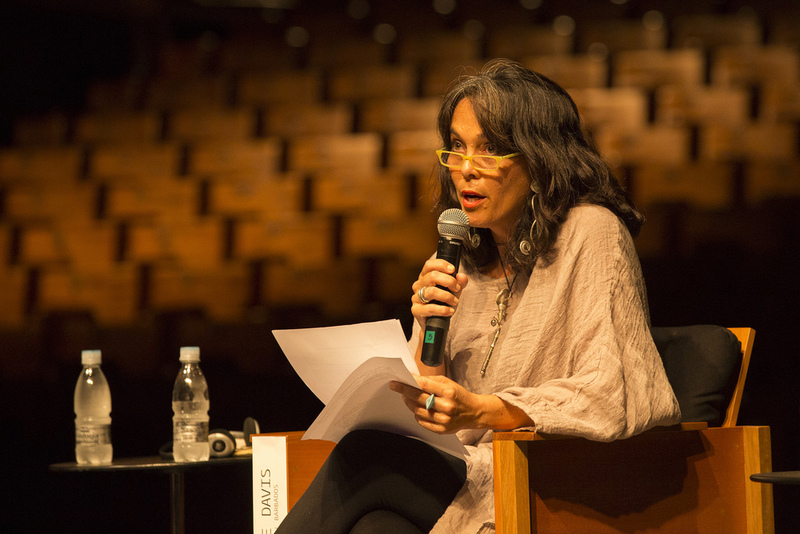 Davis made comparisons between the 1st Mercosul biennial - curated by Federico Morais 20 years ago with a mandate to rewrite “the history of Latin American art from a non-Eurocentric perspective”; the Habana Bienal that began as a vital event to place Cubans and other artists from the Global South on the world map and the São Paulo Biennial originating with a goal to establish that city as an international art centre. Holly spoke to ARC's interest in Tilting Axis, the outcomes of the gathering and gave a synopsis of the four clinics along with the platform’s goals. Opening with the promise of an ongoing commitment to transferring institutional knowledge, developing exhibitions and programming opportunities regionally and globally; the core organizations involved have entered into a collaboration that is expected to help accomplish multi tiered levels of sustainability and organic growth for the platform and its deliverables. Tilting Axis 2 will be held at the Pérez Art Museum Miami from February 19-21 2015. PAMM and Cannonball have confirmed a partnership which includes two residencies during February. Trinidad-based Marsha Pearce — scholar, researcher, educator and emerging curator — along with London based Bahamian visual artist Blue Curry will spend four weeks at Cannonball. Tilting Axis 2 will take place at the Pérez Art Museum Miami on the 19 to 21st of February 2016.